WESTERN BALKANS – As the world marks the very first International Day of Education, we want to underline that it is clear that young people who are more exposed to civic education programs have different attitudes and behaviors than less educated young people, and than older generations. Empirical evidence shows that these attitudes and behaviors change in direct correlation with the level of education. However, it is not simply academic education that seems to be the determining factor. Social, informal and political educations are key factors, too. 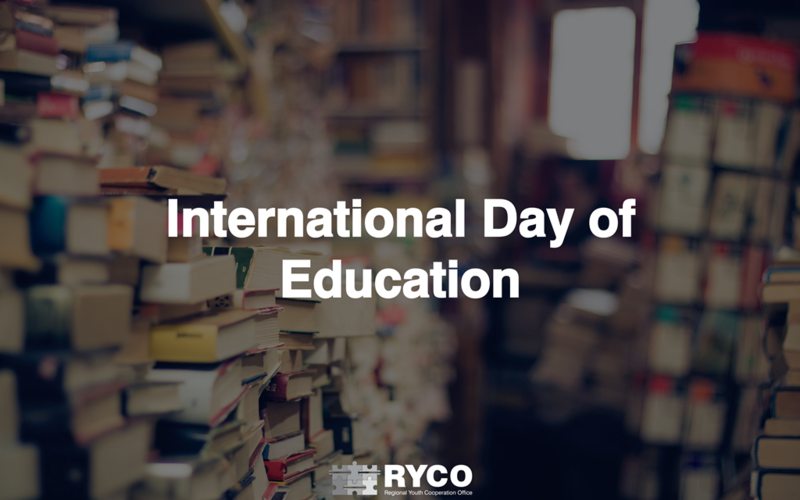 This is the reason why RYCO supports schools, teachers and people working in the field of youth education who are committed to, or proactively engaged in, regional youth exchange and cooperation. We also believe that education is one of the most powerful tools for changing the Western Balkans. As defined by the United Nations, education is a human right. The right to education is enshrined in article 26 of the Universal Declaration of Human Rights. The declaration calls for free and compulsory elementary education. The Convention on the Rights of the Child, adopted in 1989, goes further to stipulate that countries shall make higher education accessible to all. On its 44th plenary meeting held on 3 December 2018, the UN General Assembly proclaimed 24 January the International Day of Education.